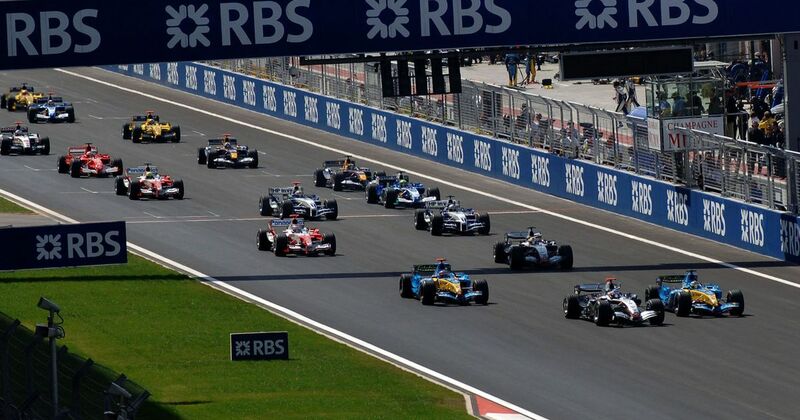 The first ever Turkish Grand Prix was held at the Istanbul Park circuit, with drivers and fans alike left raving about the spectacularly fast quadruple-apex Turn 8. Kimi Raikkonen dominated the event, winning from pole, but Juan Pablo Montoya failed to make it a McLaren one-two after getting involved with a backmarker. Whilst lapping Tiago Monteiro’s Jordan, Monteiro locked up and crashed into the back of Montoya. That not only spun him around but damaged his car. A lap later Montoya ran wide, allowing Fernando Alonso through and spoiling Raikkonen’s chance to take an extra couple of points out of his title rival. Johnny Herbert was being hailed as the next Jim Clark during his junior career. Unfortunately, that hype was put on hold when he had an enormous F3000 accident at Brands Hatch in 1988 which completely smashed up his feet. He was lucky not to have them amputated and required months of intense physiotherapy to even walk again. Despite his injuries, he went on to have a rather successful F1 career - though you have to wonder what might have been were it not for that accident. Yep, it’s the birthday of Felipe Nasr (born 1992) who spent 2015 and 2016 driving for Sauber. He finished fifth on his debut, but his most memorable result came in the 2016 Brazilian GP. The two points he scored for finishing ninth simultaneously helped to save Sauber and seal the fate of the Manor team - though he was dropped for his efforts at the end of the season.